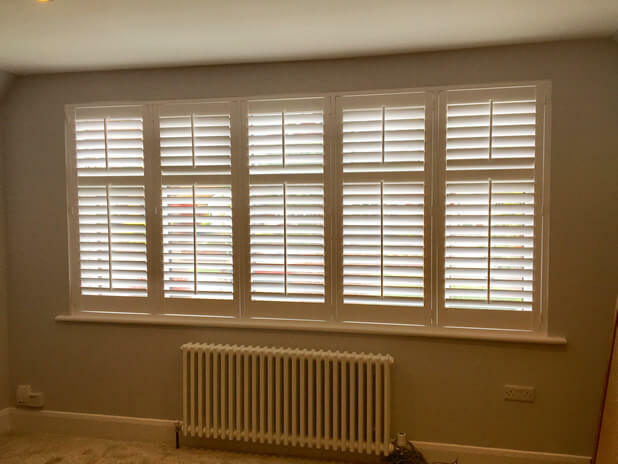 Tom and Mike carried out this installation in Brixton, South London for a customer who was in need of our shutters for some of their windows! The client was keen to achieve a traditional look which would also amplify natural light into all areas of the room, yet still create the right levels of privacy when needed. 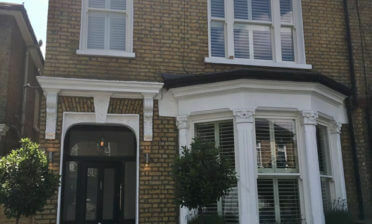 These shutters were created using our full height style of shutters with a mid rail and t posts two thirds of the way up the window. This was expertly measured so that the mid rails and posts would perfectly line up with the horizontal and vertical lines of the windows behind. 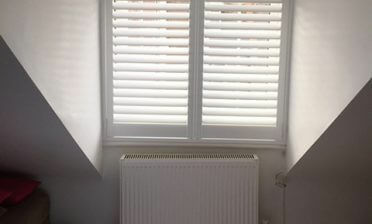 By using a mid rail in this position it also allows the louvres to be broken up on the shutters, so that the client has far more flexibility when it comes to lighting and privacy. 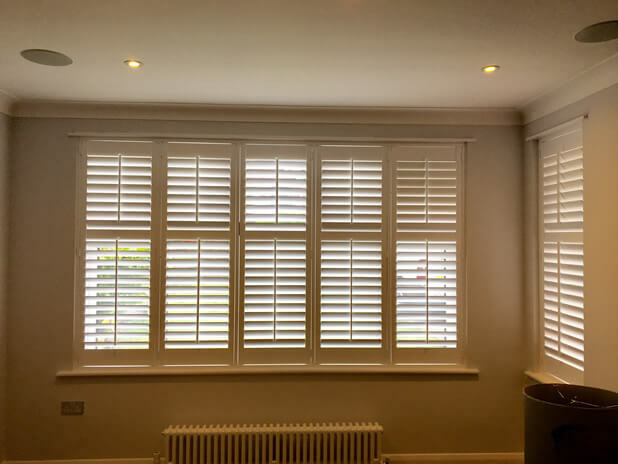 For example with these shutters the customer may wish to fully close the bottom sections whilst leaving the tops fully open to allow light in while still maintaining great privacy! The shutters were created from our Fiji Range which is a beautiful hardwood renowned for its rigidity for larger windows like this. 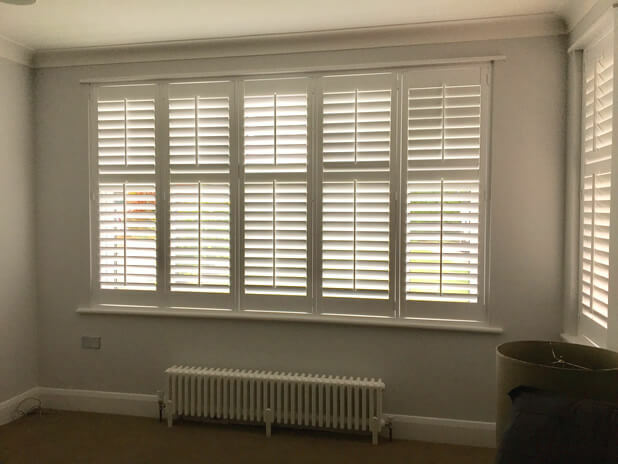 The shutters feature 76mm louvres with centralised tilt rods to help give that traditional feel that the customer was looking for. 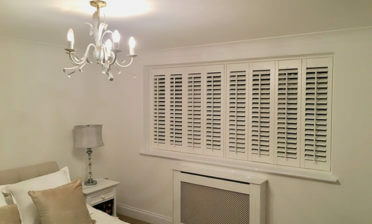 We finished all shutters in pure white paint with matching hinges, seamlessly blending in with the rooms existing décor.